After I got my Vegan Kind box through last month I knew I wanted to save the Freedom Mallows Vegan Marshmallows for something awesome. 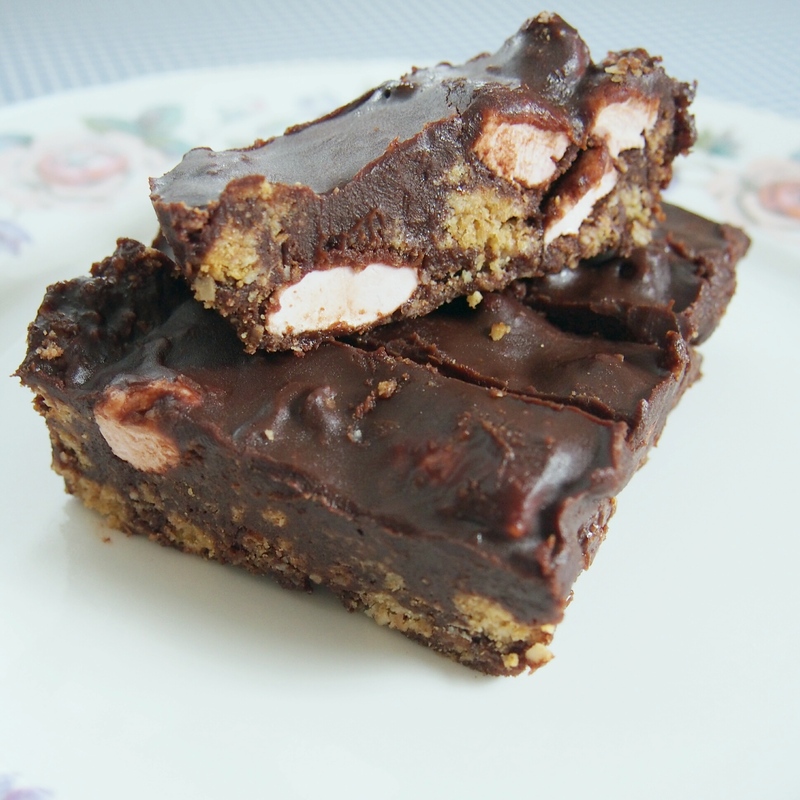 I asked around and the general consensus was it had to be Rocky Road. I had never actually had rocky road before! Being English, it wasn’t such a common thing growning up, but hearing about it I really wanted to give it a go and try some. I added the goji berries here as I like the salty sweet flavour and think it goes well with the chocolate. I have been keeping my batch in the freezer so it stays fresh and lasts even longer, plus it gets super chewy in there and less melty while your eating it. (I’m not such a big fan of having my hands covered in chocolate while I’m eating!) Hope you enjoy! Mix the chocolate, agave, margarine and coconut oil in a large saucepan and heat gently until melted. Put the biscuits in a zip lock bag and smash up with a rolling pin, leaving a few more chunky pieces of biscuit. 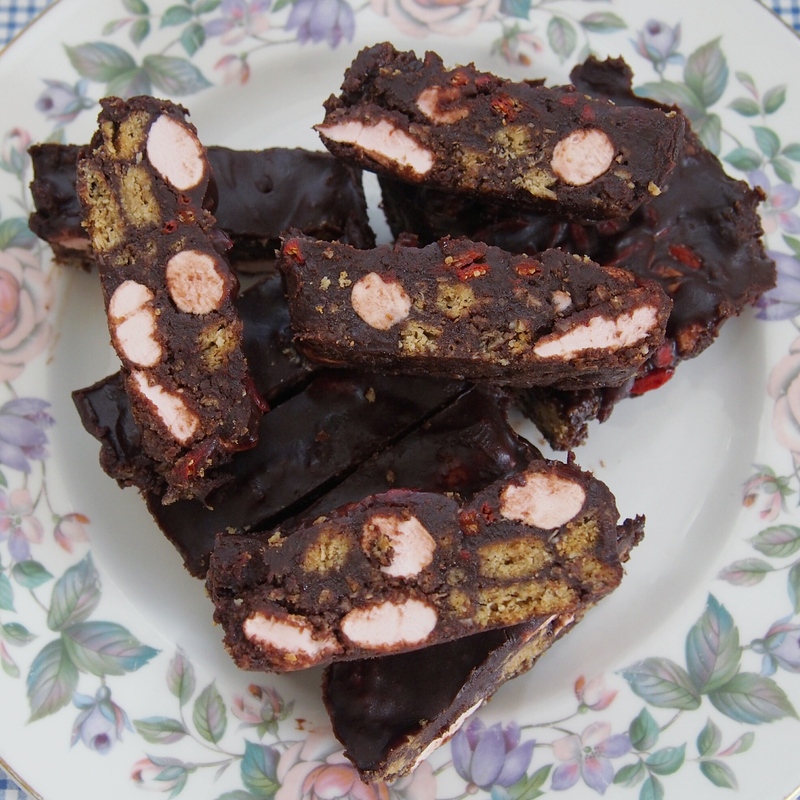 Reserving ½ cup of the melted chocolate mixture to one side, stir the biscuit, marshmallows and goji berries into the saucepan and mix well. Pour mixture into a 8 inch square tin lined with foil, flatten the top so its smooth and spread the remaining ½ cup of melted chocolate over the top. Chill until set then slice and serve. Goji berries is an awesome idea! 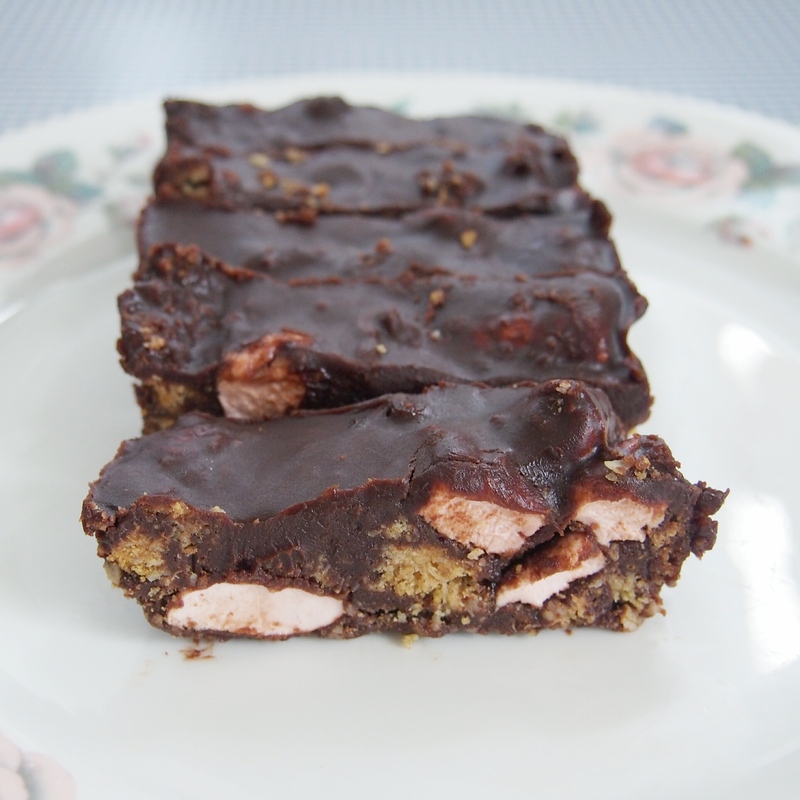 I’ve only made rocky road once, and I made the marshmallows with one of those little vegan marshmallow kits…what a mess that was! Now vegan marshmallows are becoming a bit more readily available in Australia, in fact I just bought some of the freedom ones the other day too! I wish I could find dandies again though – I had them once and they were the best!